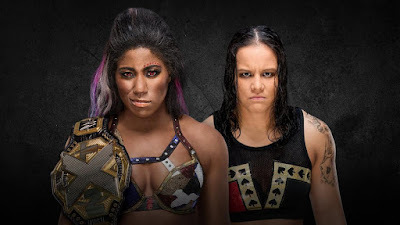 Welcome to another round of NXT Predictions, here at Enuffa.com! Right off the bat we have a barnburner of a match. The Dusty finals came down to AOP vs. Strong & Dunne, but William Regal added O'Reilly & Cole to the fray after they interfered in the scheduled final match. So for some reason the tag champs got to circumvent the entire tourney to get to the finals? Odd, but this match should be a lot of fun. AOP has to be on the verge of a call-up so I don't see them winning. 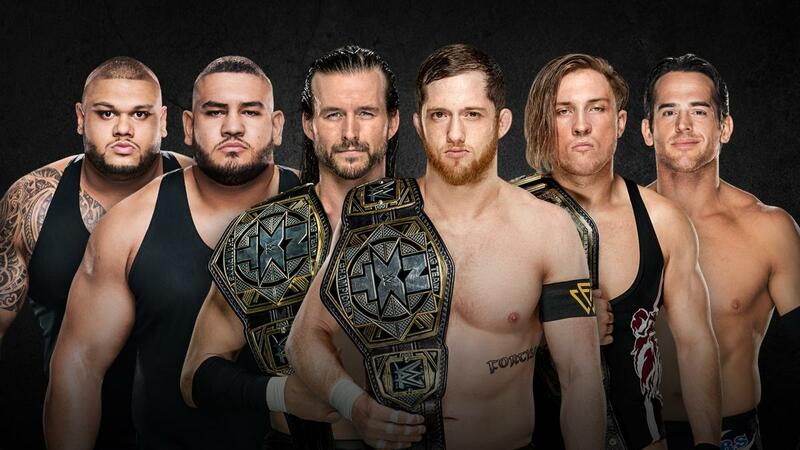 Strong & Dunne could take this but I think the Undisputed Era will retain and take the trophy. Cole is pulling double duty on this show so he has to win at least one of the two matches. It's a brand new belt for NXT, and the winner of this schmozz gets to take it home. EC3 and Ricochet are newcomers (or returners in the case of EC3) making their debut in this match. Can't wait to see how Ricochet fits in here. The man is superhuman. 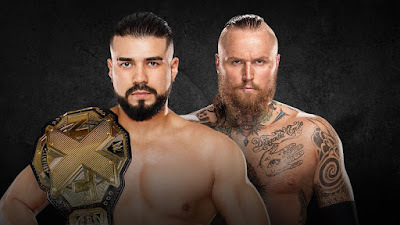 Anyway, I don't see Dain, Sullivan or Dream becoming the inaugural champ, Ricochet is brand new to WWE, and Cole is in two matches (not sure which goes on first). I'm gonna go with EC3, who's already been in WWE before and has a huge cache from his TNA stint. It's the rematch from Philly, a match I liked quite a bit, as it had an MMA feel and dramatic submission work from Shayna. This has some room to top it, and hopefully it will. I think it's too soon for Ember to drop the belt, so I'm going with her again. It's the long-awaited grudge match that was derailed by Ciampa's injury several months ago. This is gonna be something. Their Cruiserweight Classic match was awesome, Gargano's match with Almas was probably the 2018 MOTY so far, and there's a ton of heat and momentum for this. I'll be shocked if it isn't the match of the night (maybe even the weekend). Gargano is out of NXT if he loses, and I dunno if there are plans to call him up yet. But it seems dumb to have the guy lose a match specifically to lose his NXT job and immediately get called up. Justin: I'm gonna go with Johnny Wrestling so this feud can continue. Man, what a turnaround for Almas. The guy couldn't find his niche for months and months, and now he's killin' it. Black has had a rocket strapped to his back since he arrived, and I don't see that stopping here. This'll be a helluva title match and almost certainly Black's crowning moment. It's gonna be quite a wrestling weekend, between this, 'Mania and ROH's Supercard of Honor. What a time to be a wrestling fan, huh? WWE WrestleMania 34: Best One in Over a Decade?